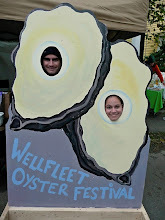 An event not to miss, the September 9th & 10th Island Creek Oyster Festival in Duxbury, MA. Not convinced yet? Have a look at some photos from last year.